In more recent times I’ve often spoken about trends in the digital casino gaming environment, in terms of an operator subscribing to more than one vendor (casino software provider) and the proliferation of sports betting and its inclusion in more and more operator offerings. Bet-at-Home specialises in sporting events while also focusing on mobile casino gaming, live casino gaming and virtual sports gaming. In other words, this is another one of the newer operators out there who is doing its best to cater to all interested parties. Bet-at-Home looks good – a lot of effort has gone into the casino’s website layout and design features. With the exception of the sport, which is all live, the casino games have been ascertained from NetEnt. This means that things will look pretty good. In fact, I’ll go as far as saying that I haven’t come across a NetEnt title that hasn’t impressed in some way, be it through its incredible artwork or by way of a win-enhancing feature. When it comes to support I’m a firm believer in the triangle of communication; phone, email and live chat. To my mind, if a casino only communicates through email, it says to me that either the establishment isn’t that interested in helping its players, or that it’s understaffed and in the trenches. Bet-at-Home doesn’t have live chat, but it does have the other two, and in my mind a mobile casino should always have a means of communicating directly with its clientele. All the various gaming departments at Bet-at-Home – sports, casino, games and poker – can be contacted via email and telephone. Banking at Bet-at-Home is not what I’d call a bloated affair. Don’t get me wrong, if you can’t get your money in or out of your casino account, then yes, please, give me more options. But I like the simplicity that Bet-at-Home employs, offering mobile casino app users no more than 10 mechanisms. Maybe this number will increase in the future. Amongst those you’ll find Visa, MasterCard, Diners Club, Skrill, Neteller, PaySafeCard and more. One of the major things that stands out for me about Bet-at-Home is that it is really focused on mobile casino players and users. Options are simply amazing. Go for sports and take your pick from football, tennis, basketball, darts, motorsports and even society and politics. Believe me, there is a lot more on offer. The live sports feature lets you bet while the game is in motion, while the live casino games are as real as they come. 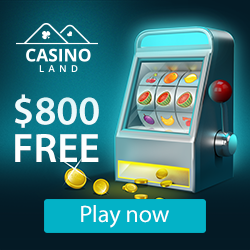 Opt for the casino and you’ll be in for over 40 of the best NetEnt powered mobile slots and table games. Finally, there’s the virtual sport section which at this point offers simulated football. Payout percentage for Bet-at-Home mobile casino players sits at 97.3% – up there where it should be by industry standards. Bet-at-Home offers 2 bonuses, depending on which lucrative avenue it is you’d like to explore. For first-time sports betters there’s up to $/€ 50 free bet, while casino players will be able to get up to $/€ 1000 in bonus cash. Bet-at-Home also has tie-in promotions with Hertha BSC and FC Schalke, which is quite a departure from the norm.